Classic red Christmas trees (36cm high and 20cm wide) can be used at a traditional Winter wedding, corporate event, or around the home to set the scene for a winters morning spent by the fire! 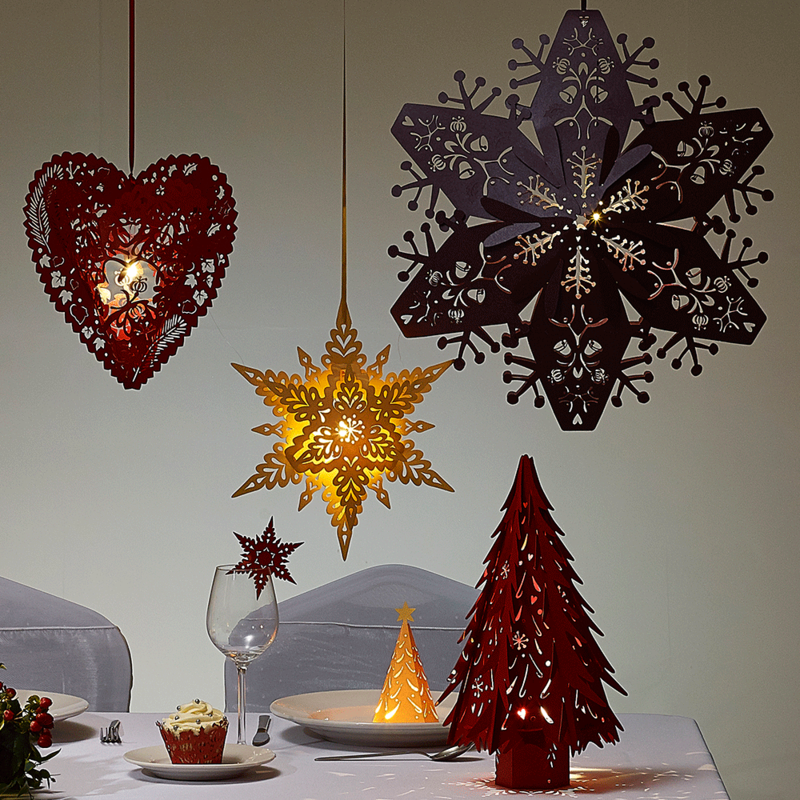 Rich, red Christmas Tree decorations will enhance any log cabin if you’re getting away over the Christmas period and should be placed on a mantelpiece decorated with a fir garland and holly berries. Switch on the enclosed warm LED Buttonlite during the evening to cast stunning shadows and create a cosy feel over your family Christmas. Buttonlites last 36-48 hours and can be switched on and off as required. New Buttonlites can be purchased separately if required. 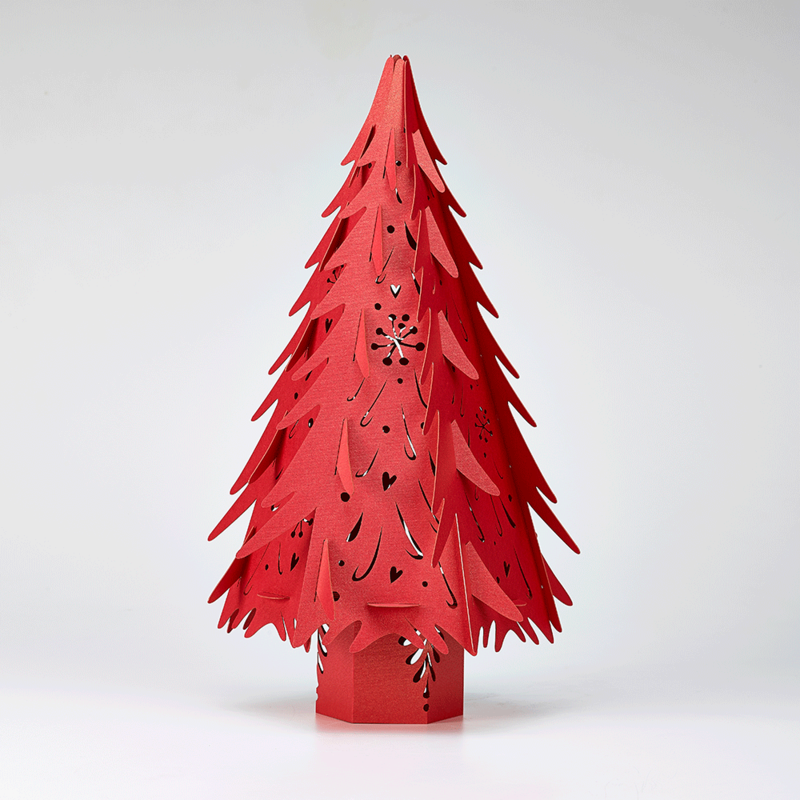 Our Christmas trees arrive flat packed and ready for use in a couple of simple assembly steps – just insert each paper tree panel into the next to create the full tree. You can dis-assemble your small Christmas tree in the same way for storage in the new year. 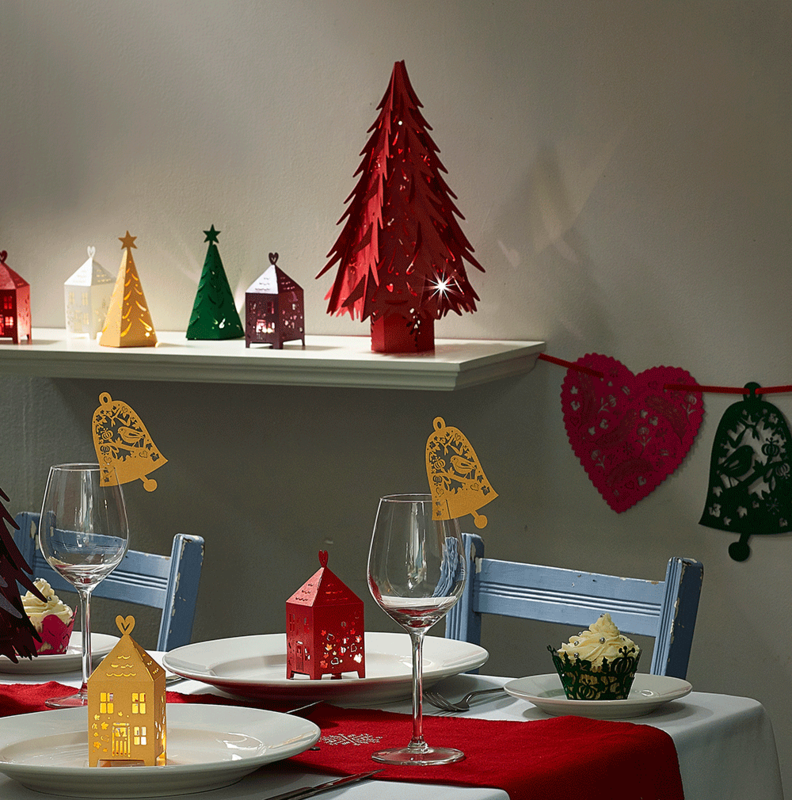 Complement your Rosso red Christmas Tree with other paper Christmas decorations from our Winter Berry range – use glass stem decorations to let your guests know where to sit at the dinner table, and place Chalet Favour boxes on your window sills to invite your neighbours in.